Could this be it, the movie that finally wins Leo DiCaprio his Oscar? 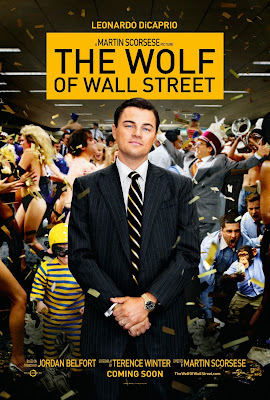 The Wolf of Wall Street, based on the novel of the same name by Jordan Belfort, the "Wolf" in question, makes it seem like Leo should at least get an Oscar nomination for the role; however, the Academy has snubbed him in the past, so we'll have to see. He's already secured a SAG Award nomination as well as a Golden Globe nom, and after seeing this movie, he more than deserves an Oscar nomination for it. Jordan Belfort (DiCaprio) starts as a trader on Wall Street in October 1987, the same month and year of a major crash. When his firm closes, he takes a job at a tiny place in a strip mall, wheeling and dealing "penny stocks": stocks that sell for pennies and probably will not make their buyers any money. He soon strikes out with Donnie (Jonah Hill) and they create their own firm out of the garage of an auto shop; Belfort eventually gets rich, expands the firm, and is living the high life, until the FBI's Patrick Denham (Kyle Chandler) starts investigating him. Belfort's personal life starts unraveling as well: things aren't good at home, with his second wife (Margot Robbie) and his drug addiction has gotten out of control. Belfort has to decide whether he will turn himself in to the FBI and take a plea bargain - also involving stepping down at his firm - or continue thumbing his nose at the FBI and taking the punishment for whatever crimes for which they can prosecute him. DiCaprio was stellar in this movie but the supporting cast was fantastic as well. Jonah Hill plays Donnie, his right-hand man, and Jon Favreau, Jon Bernthal, Kyle Chandler, Matthew McConaughey, Margot Robbie, Rob Reiner, and Jean Dujardin (from The Artist - he speaks!) all have great supporting roles. McConaughey has a very small role at the beginning of the movie, as Leo's boss when he starts on Wall Street, but the rest of the cast circulate throughout the film. Yes, see this movie, but it may be better to watch as a DVD or Blu-ray because of its runtime, which could have been a half-hour shorter. Belfort did remind me a bit of Gordon Gecko from Wall Street and the sequel, and Gecko's name was mentioned once or twice throughout the movie, too, but what's crazy to think about is that he is a real-life person; the novel The Wolf of Wall Street was penned as his autobiography. The entire film is almost like a real-life Hangover with some of the situations they get into, and drugs being snorted from every surface and every orifice ... and I do mean every: supposedly the film was going to be rated NC-17, too, but about fifteen minutes were cut from the movie to guarantee it an R-rating instead. The Wolf of Wall Street may not be the film you should take your family to this Christmas, but it's a wild ride that you will eventually want to see. 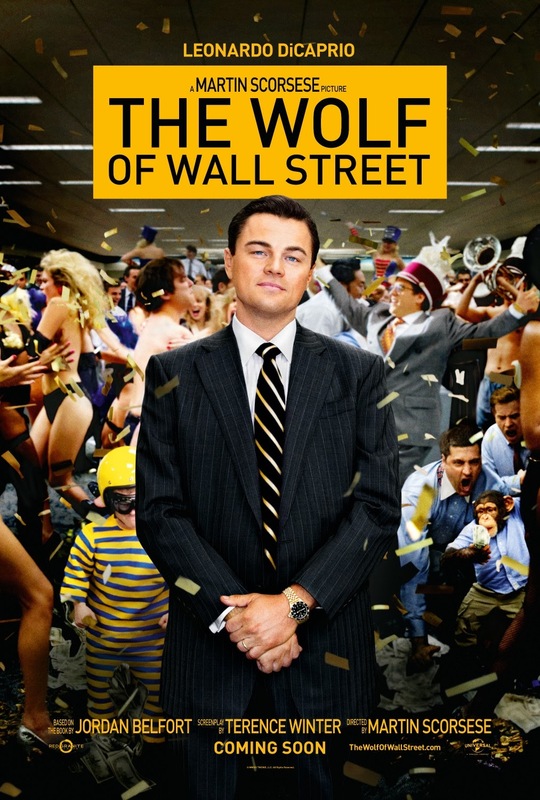 The Wolf of Wall Street is currently playing in theaters, and is rated R with a runtime of 179 minutes. 3.5 stars out of 5.